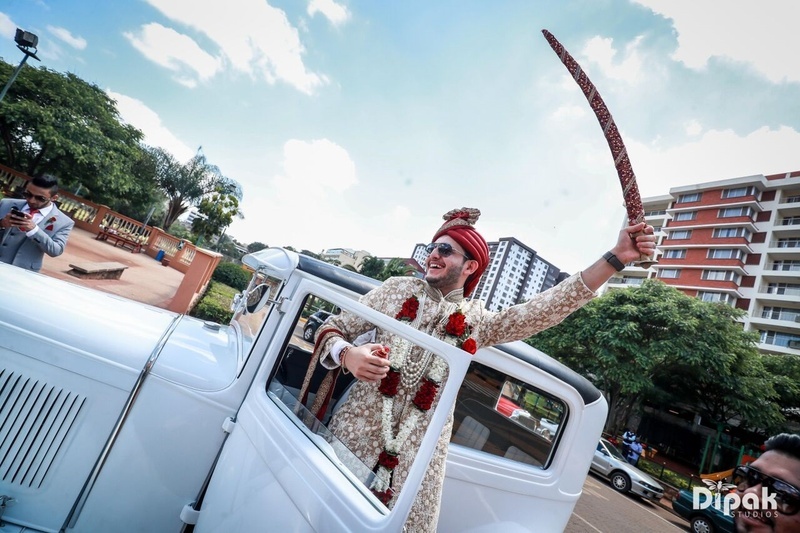 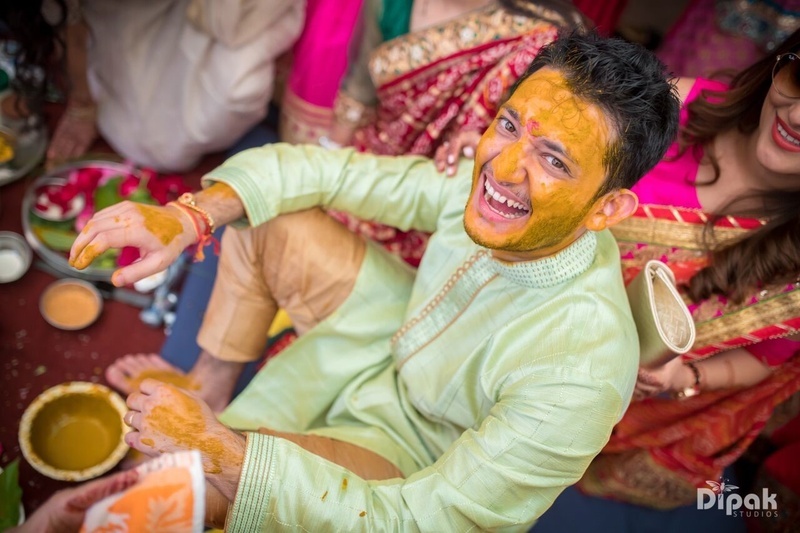 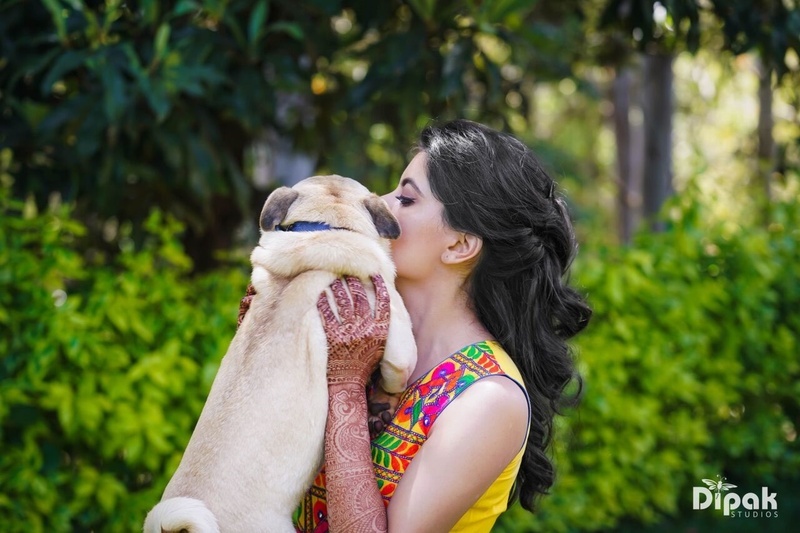 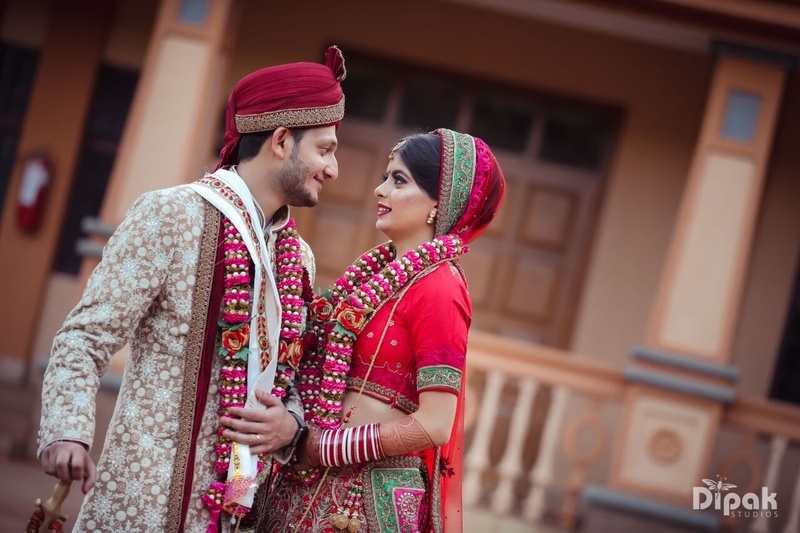 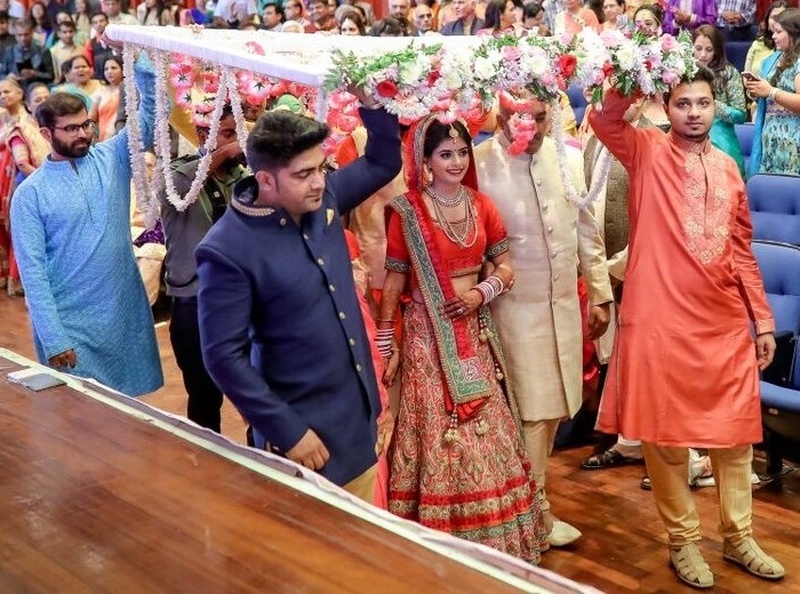 Priyanka and Dhruv tied the knot in Nairobi, Kenya & the bride's mehendi photos are major goals! 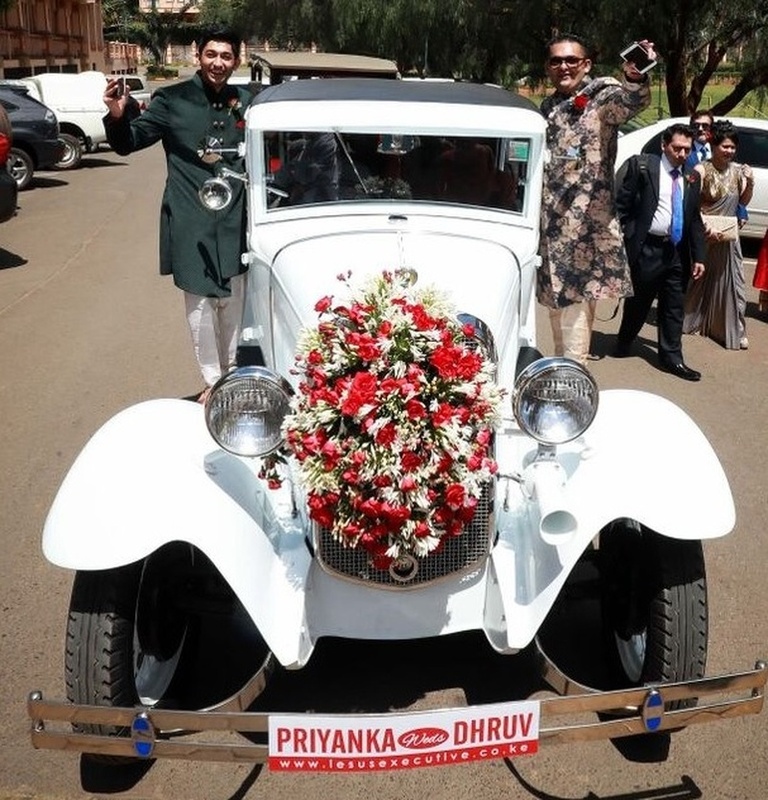 Priyanka and Dhruv celebrated their love and took vows over the international waters of Nairobi, Kenya. 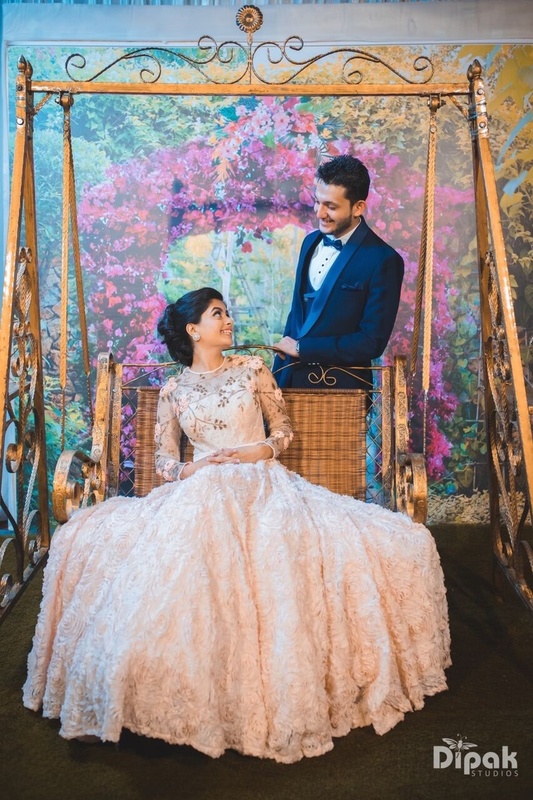 The adorable duo wanted a different theme for each of their ceremonies and we absolutely fell in love seeing the beauty and individuality of the theme setting. 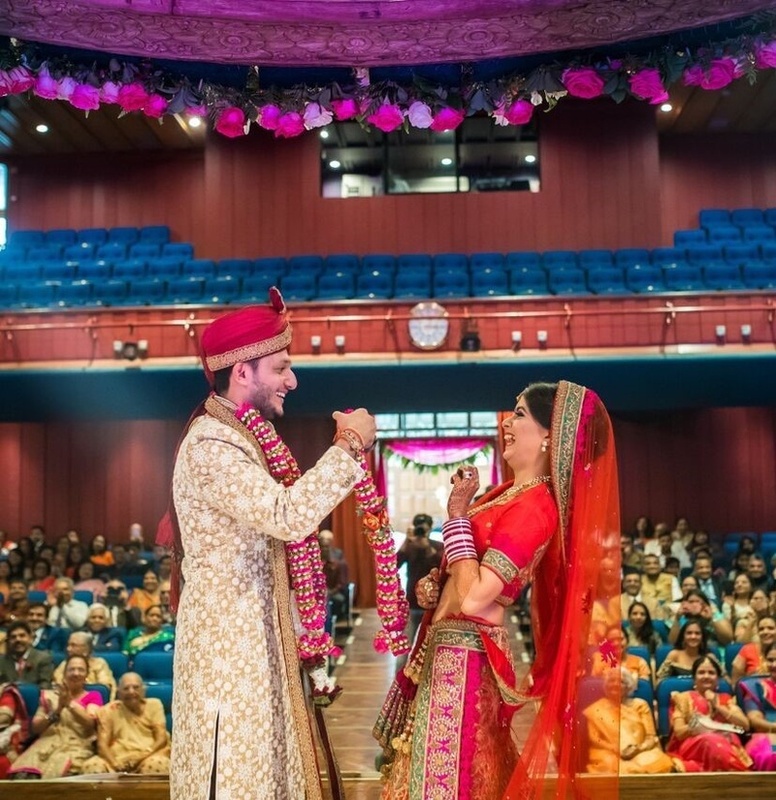 From having a heavenly fairytale like reception to a typical Gujarati Sangeet ceremony, the wedding had it all. 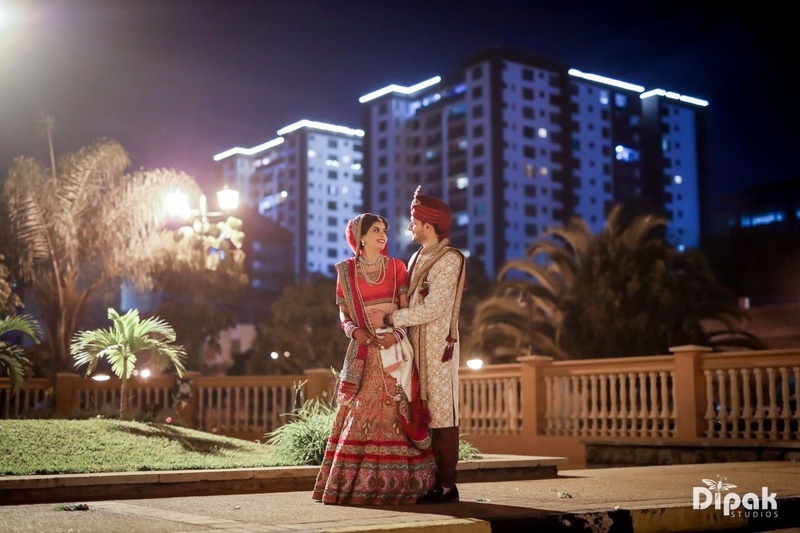 The lands of Nairobi, Kenya offered the couple with the magnificent setting for the ceremonies that they dreamed of. 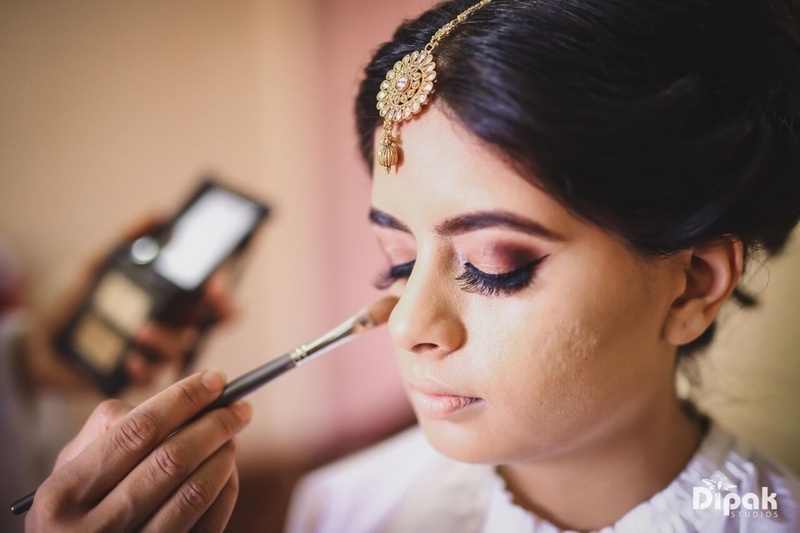 Also, for the Hair and Make-up of the bride, the best in town artists were chosen. 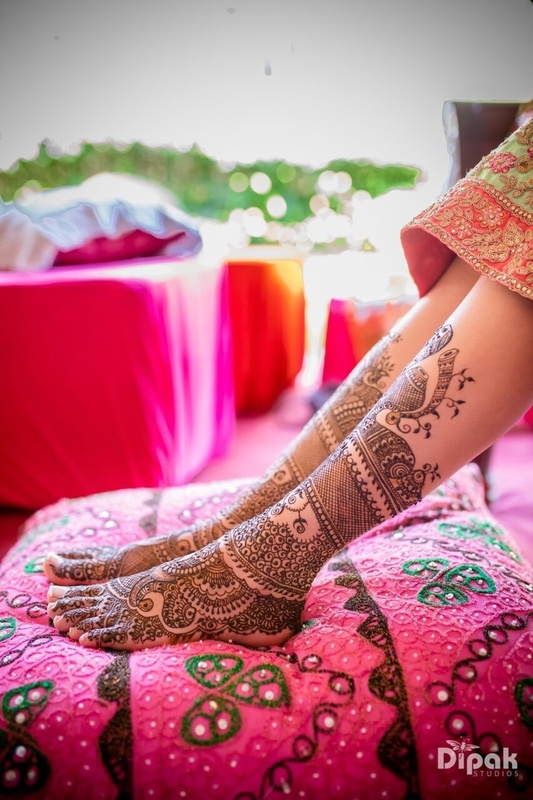 You cannot take risk or go wrong with that on your first day. 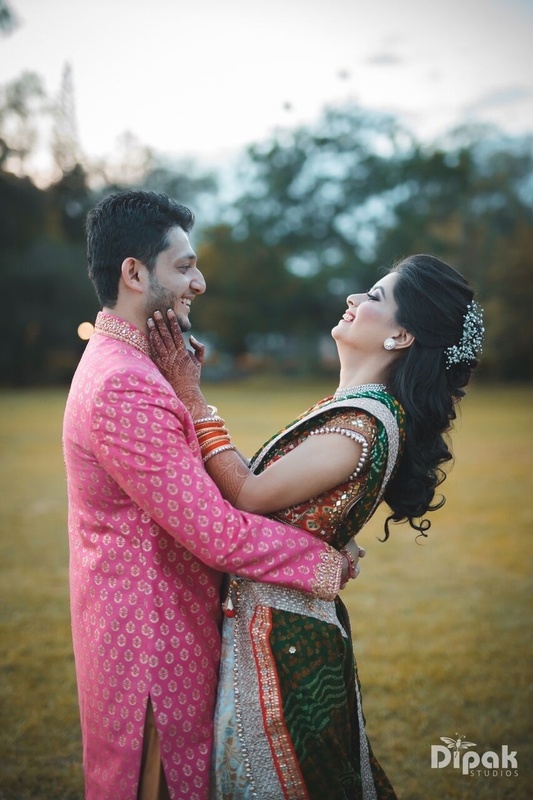 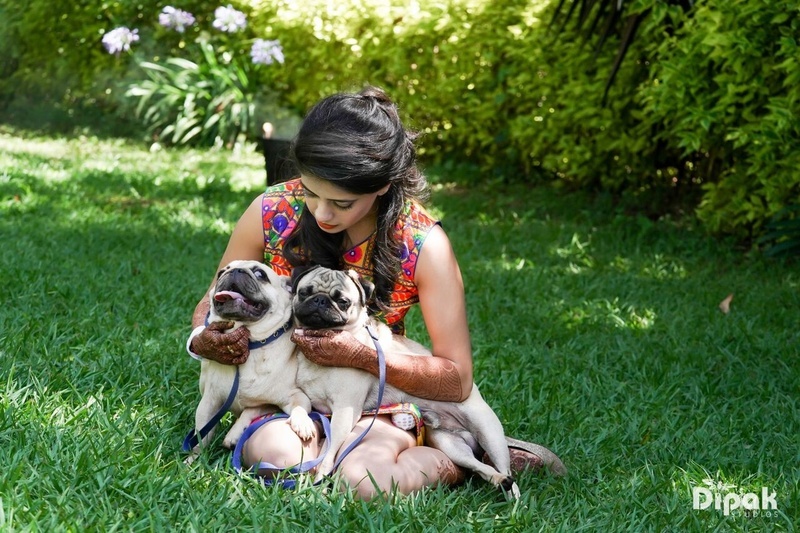 Priyanka and Dhruv met four years ago through their mutual friend. 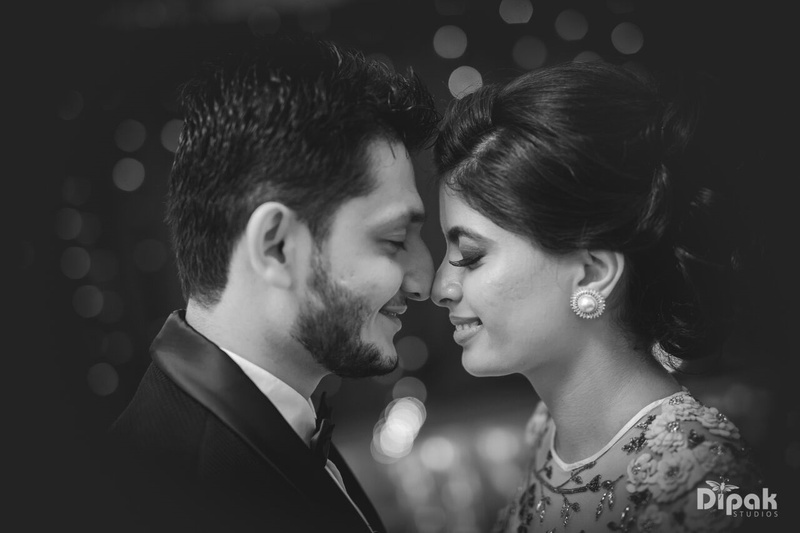 Initially their story began with text messages but the couple soon realised their feelings for each other and it hit it off from there. 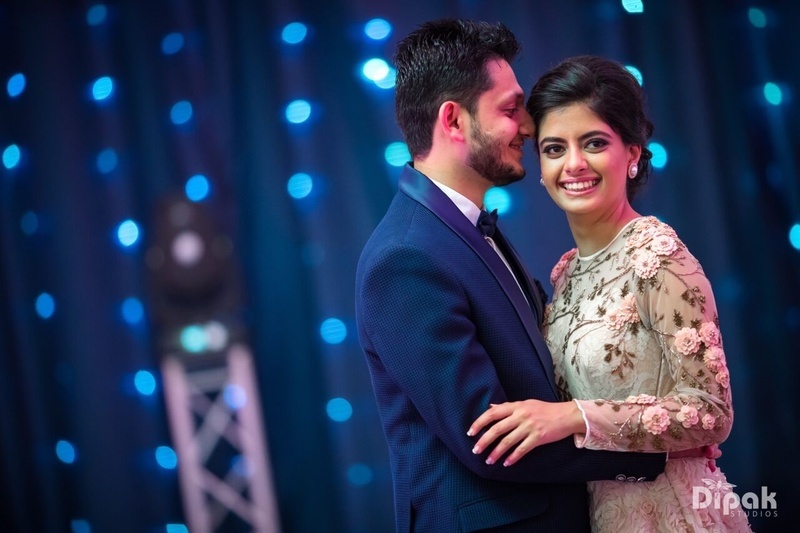 Dhruv planned the proposal at the beautiful setting of the London eye and without any second thoughts Priyanka said yes. 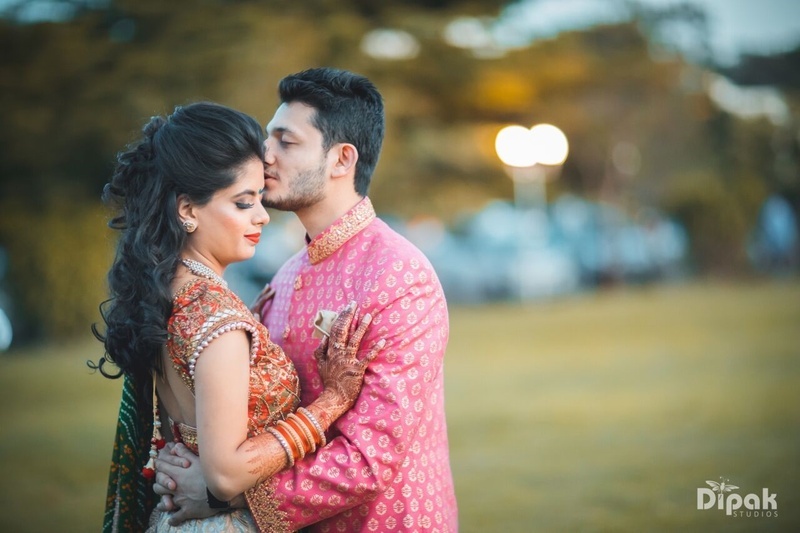 The couple have had been best friends for years and on 14th July 2017 they accepted their love for each other. 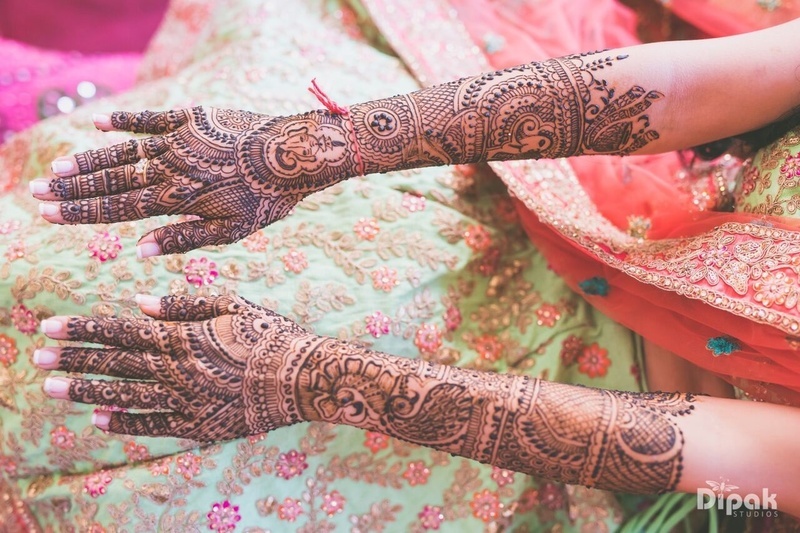 The bride’s love for Mehndi made her specially customise her outfit for the occasion and we couldn’t agree more with her. 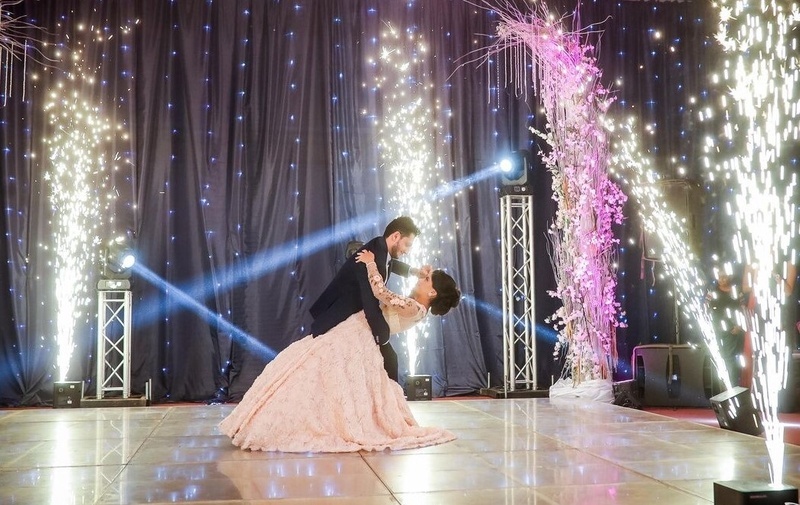 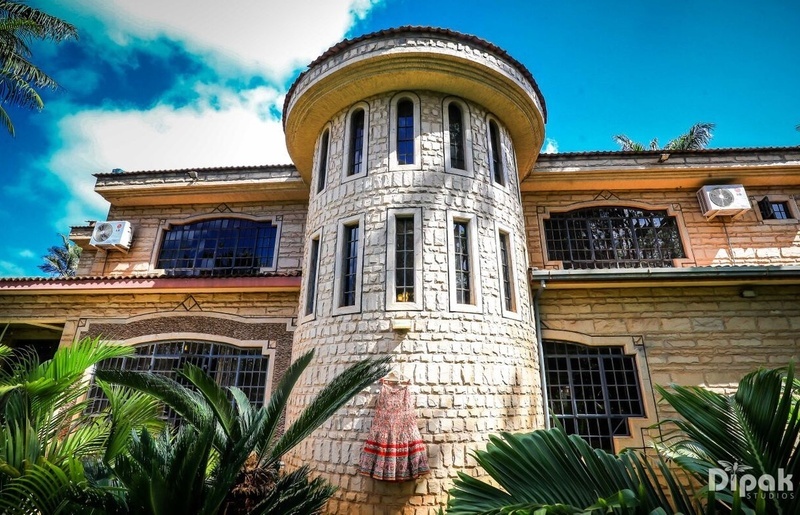 It was an intimate affair and was conducted in Nairobi, Kenya at the home of the bride itself. 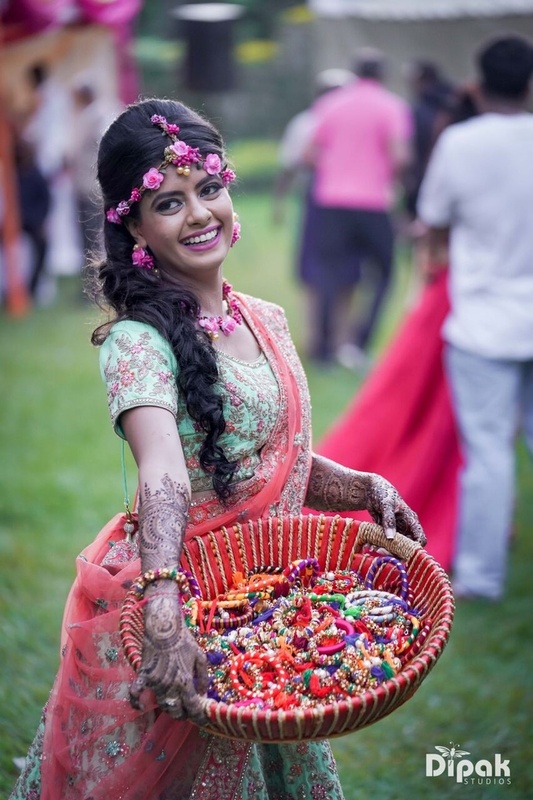 She complimented her outfit with exceptionally beautiful floral jewellery. 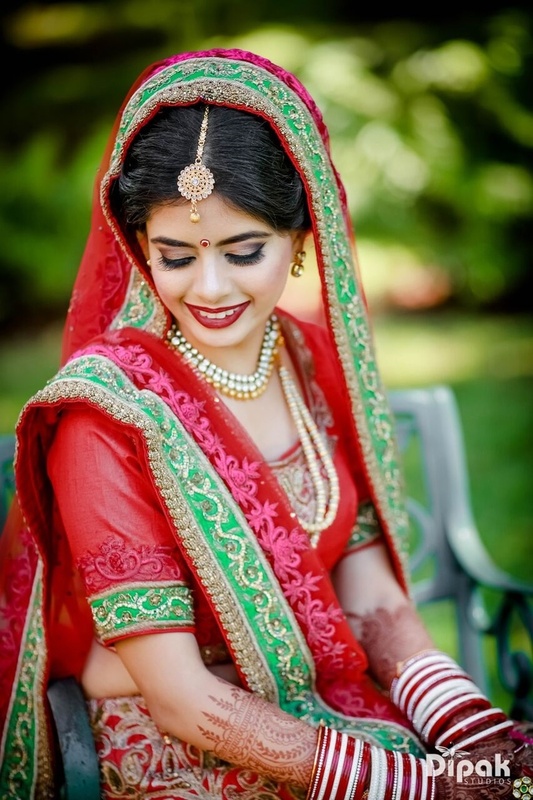 The hairdo and make up was done by Khyati Gopalbhai Rana. 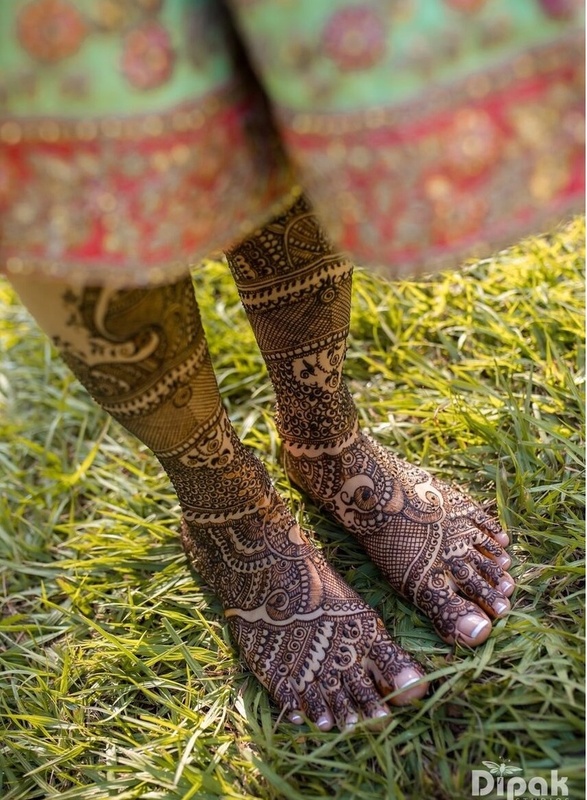 The beautiful hand and feet mehndi of the bride was much talked about and took the internet by storm. 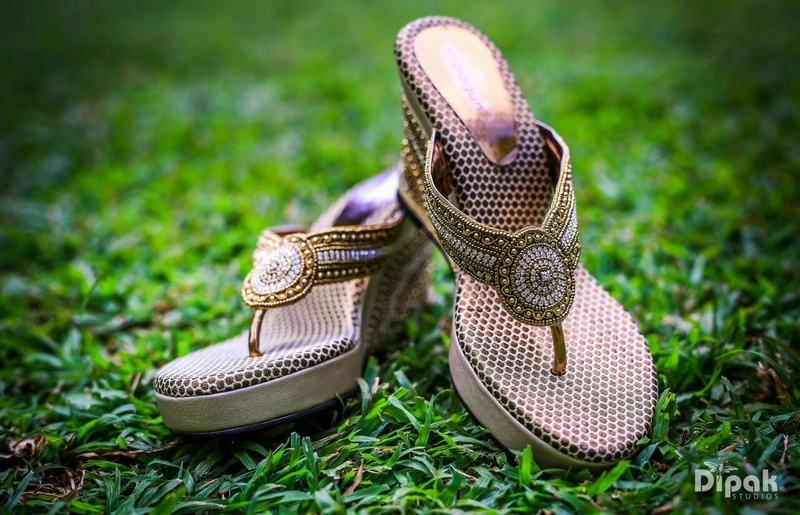 Do take a look at the pictures. 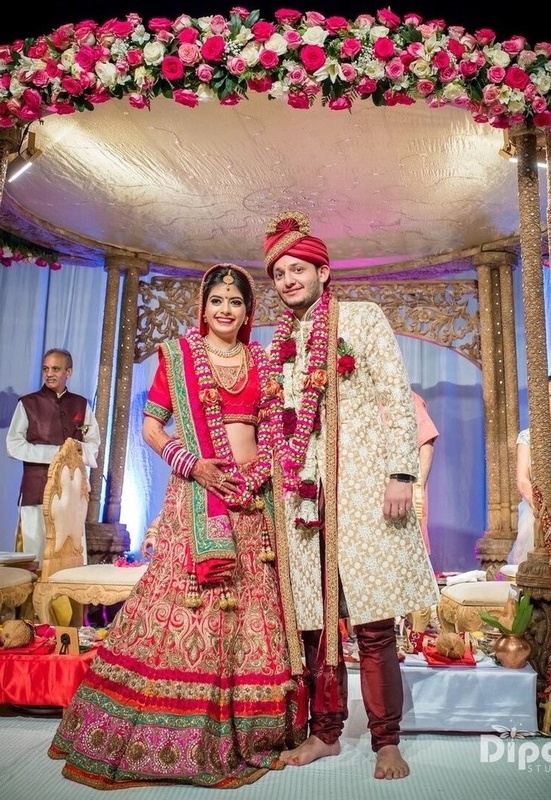 The sangeet function was a traditional Gujarati affair. 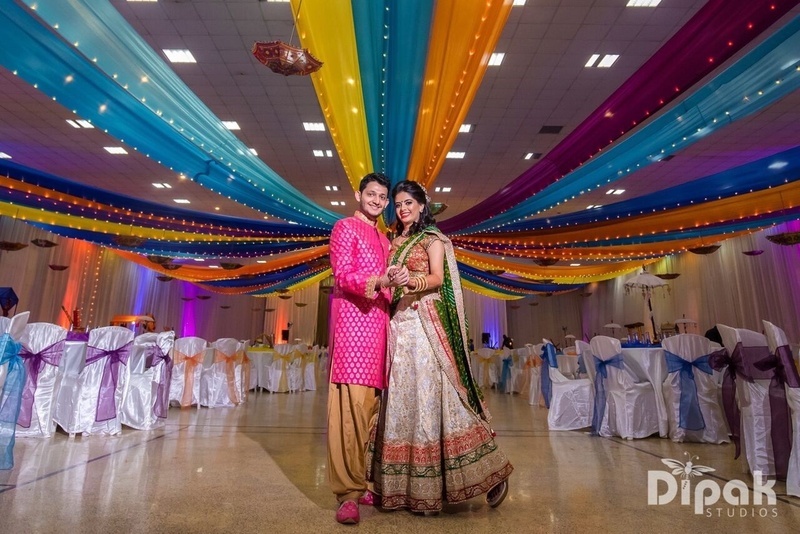 It was full of vibrant colours and the folk dance of Garba added additional stars to the ceremony. 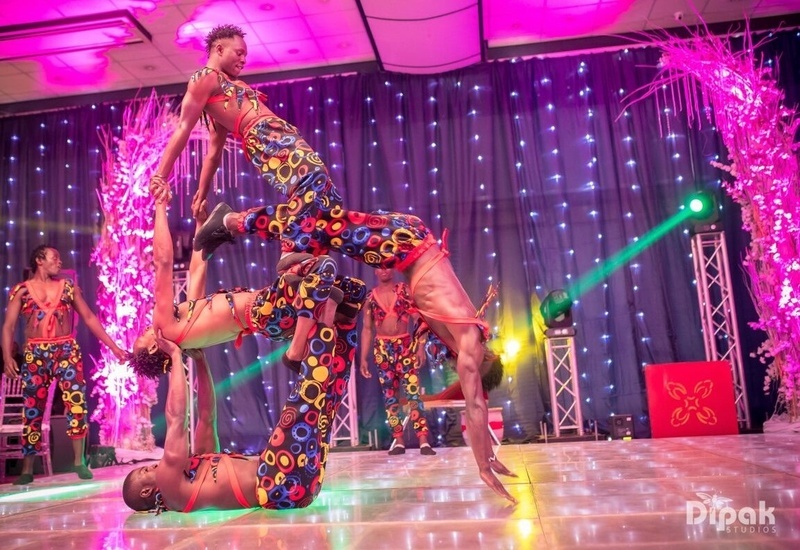 The venue for the event that is SSD Hall, Nairobi, Kenya was so chosen as to accommodate a whole lot of people who could freely perform the vibrant dance of Garba. 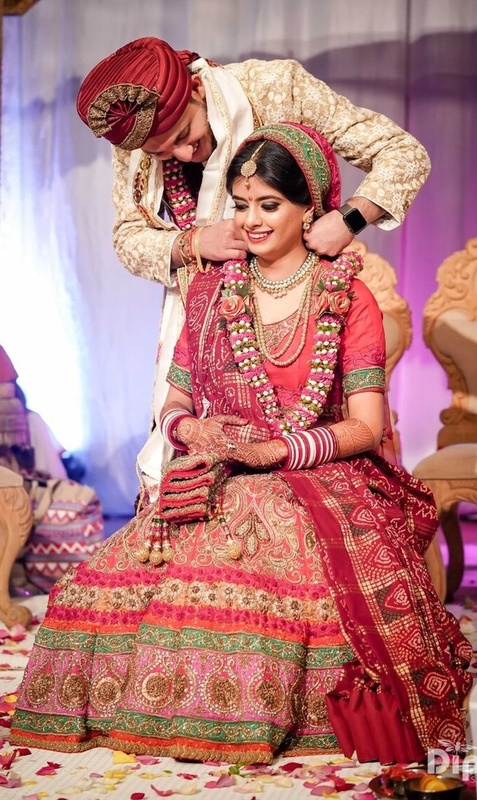 The hair was taken care of by Salma and the Make-up of the bride was by Karishma Gohil. 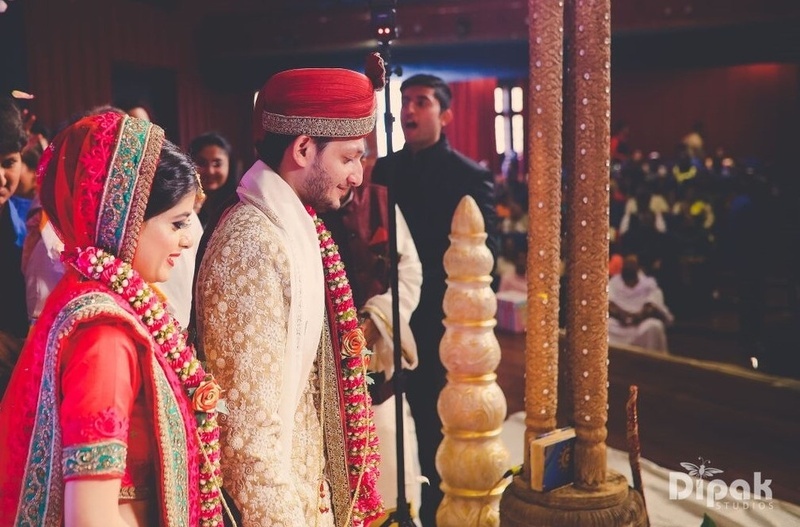 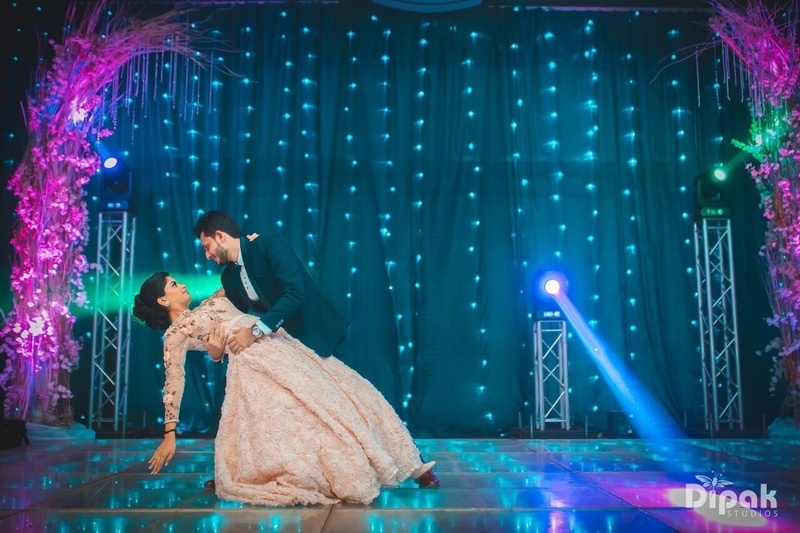 The most awaited event of the entire function was as perfect as the bride expected it to be. 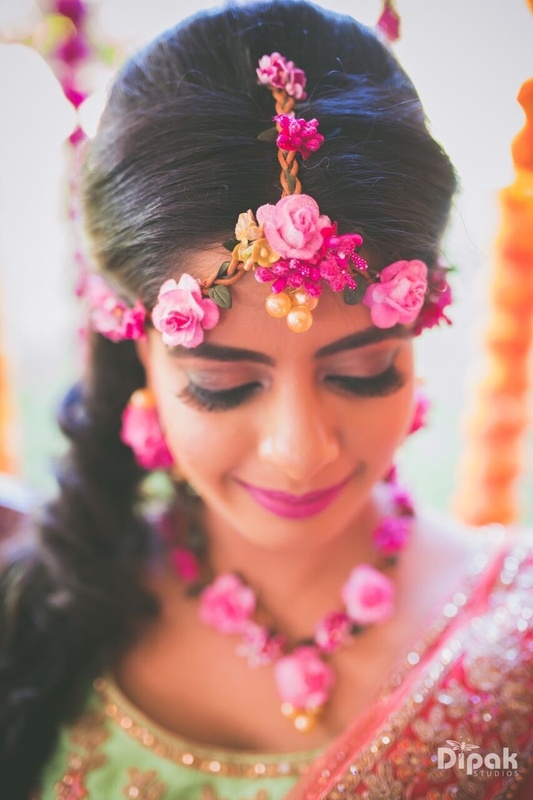 The combination of hot pink and white roses made the theme very elegant and quite spectacular in simple words. 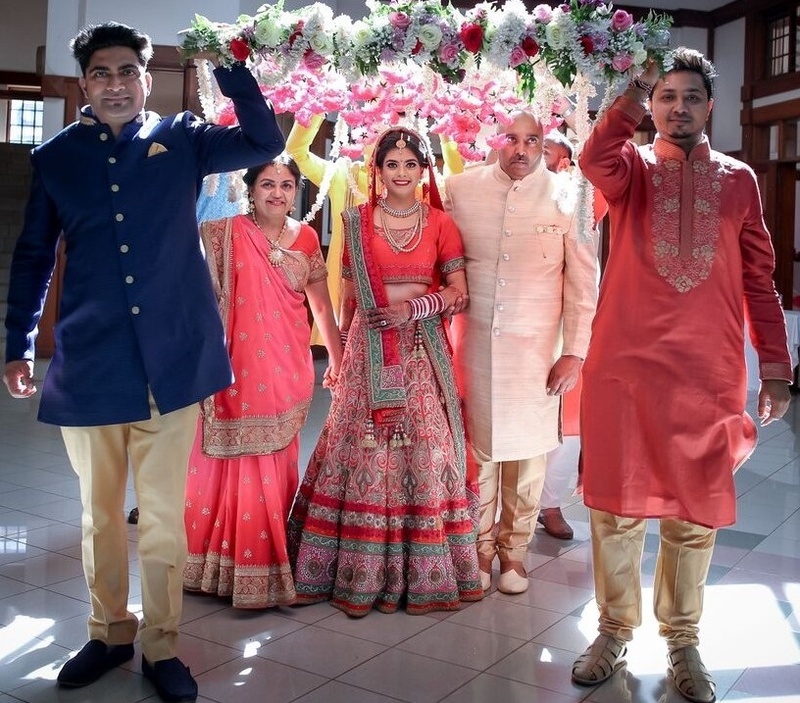 Added to which the outfit of the bride made it absolutely difficult for us to look anywhere but at her. 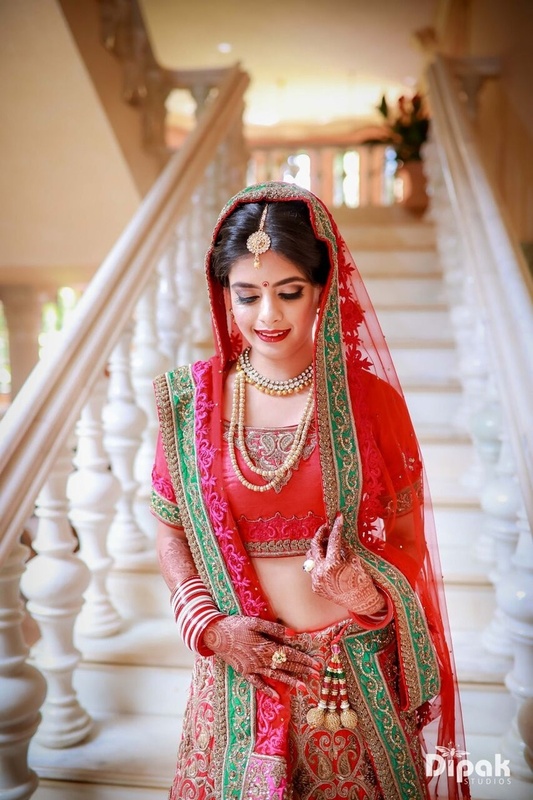 ‘The bride in the red’ set the benchmark for wedding attires with her exceptionally good looks. 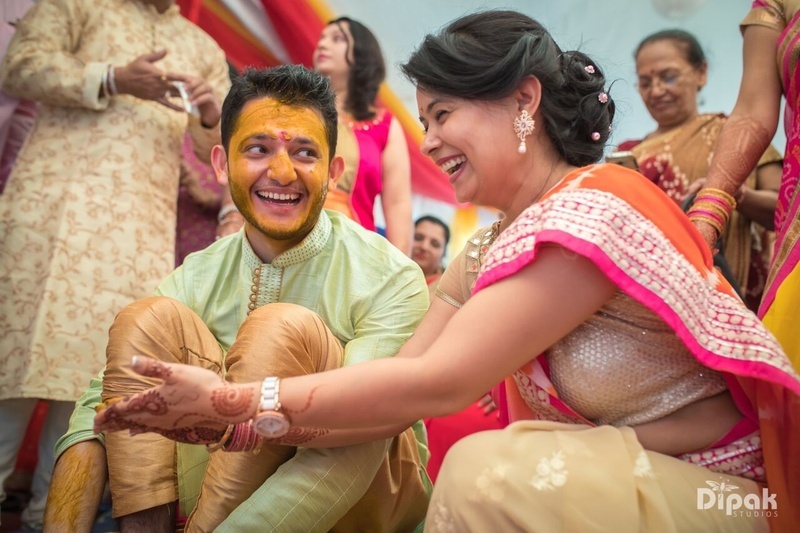 The hairdo and Make-up artists for the ceremony were Salma and Karishma Gohil respectively. 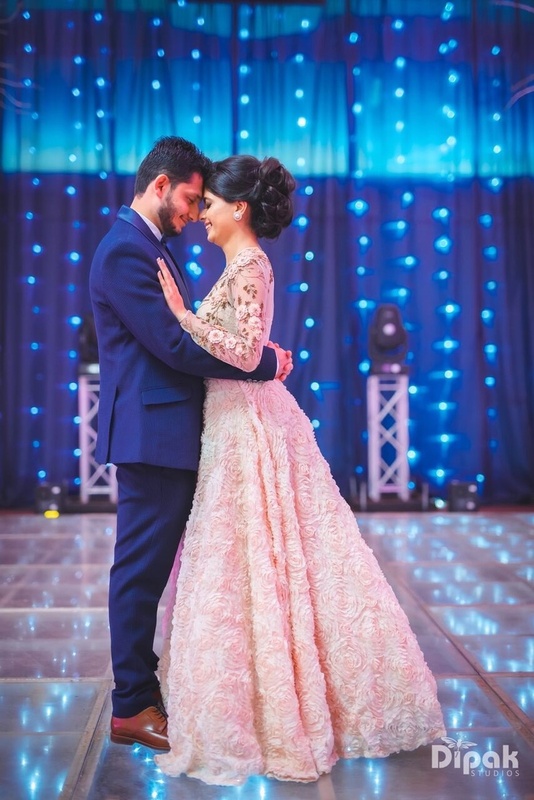 It was a fairytale type of a reception for me and hence the outfit was chosen accordingly. 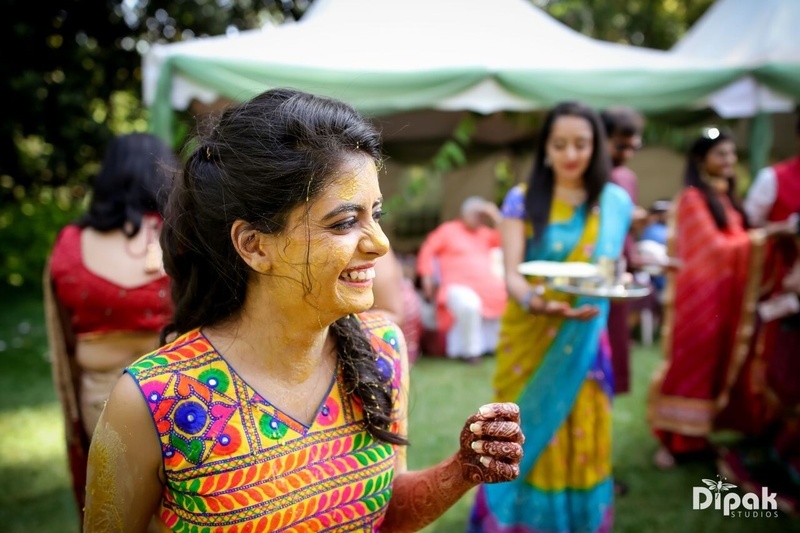 It was a western affair as I wanted all my events to be different from each other. 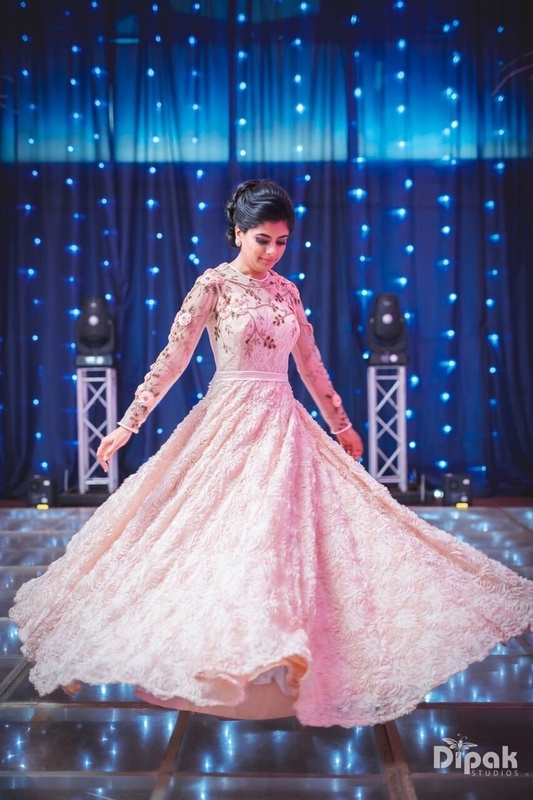 The bride stepped out on her fairytale like Reception floor in an exceptionally beautiful pink gown. 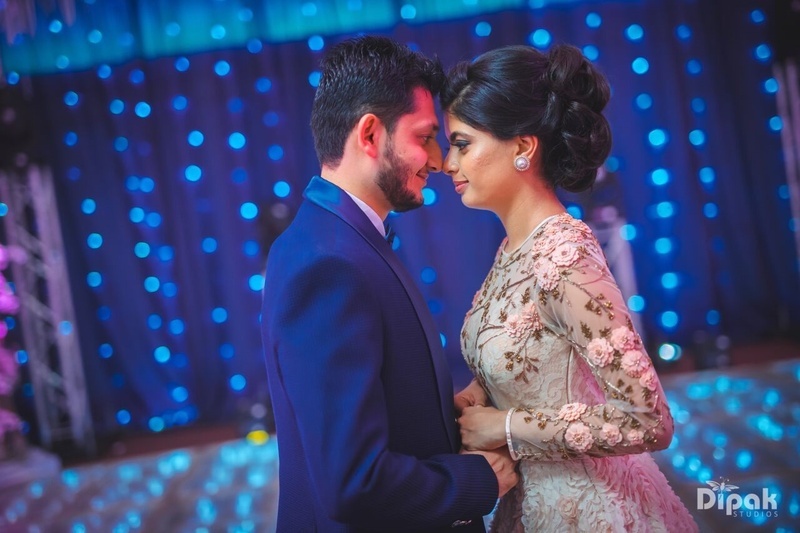 The hair was again taken care of by Salma and the make up was covered by Karishma Gohil.